equineGenie thinks Horse Business Management - equineGenie is Horse Business Management! equineGenie is true Horse Business Management! Equine Business Management Software for your Horse Farm or Horse Ranch, Equine Equestrian Center, Horse Boarding Stable, Mare and Stallion Reproduction or Horse Training and Lesson Business! You do not need any additional software! equineGenie is your lowest cost solution and your lowest cost of ownership – period! If you are serious about wanting to manage your horse business and graduate from recordkeeping which has little to no value, to value added management which adds a lot to your business, watch the short Overview Video now! equineGenie offers 4 options to fit your business needs - plus remote data entry with clientGenie! 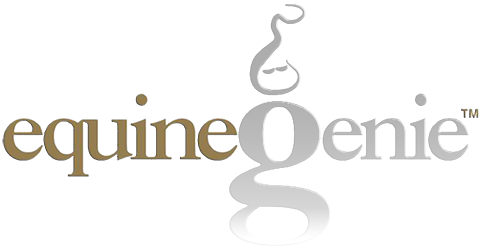 All equineGenie product offerings include free unlimited setup help, product training, ongoing support - 24/7 and software updates. There are no monthly charges or annual fees. Our 'live' person support is available 24x7, anywhere in the world! We use, www.gotomeeting.com, and a representative horse business. The demo takes about an hour. You can ask questions and make requests during the demo. We take as long as you need to make an informed decision. Get in touch with our staff now.